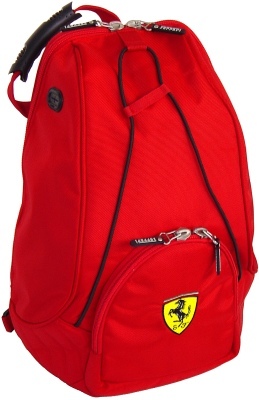 A stylish back pack in a durable, water resistant material. 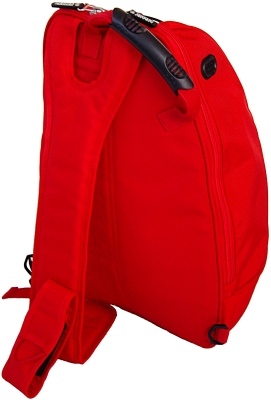 The offset sturdy handle + padded shoulder straps make this an easy to carry or wear item. On the outside is stretchable banding for bulky items. Inside the main compartment is a padded CD holster. Scudetto embroidered to the main panel + the zip pulls are Ferrari branded. Approximate dimensions: 46 x 34 cm or 18 x 13 inches.